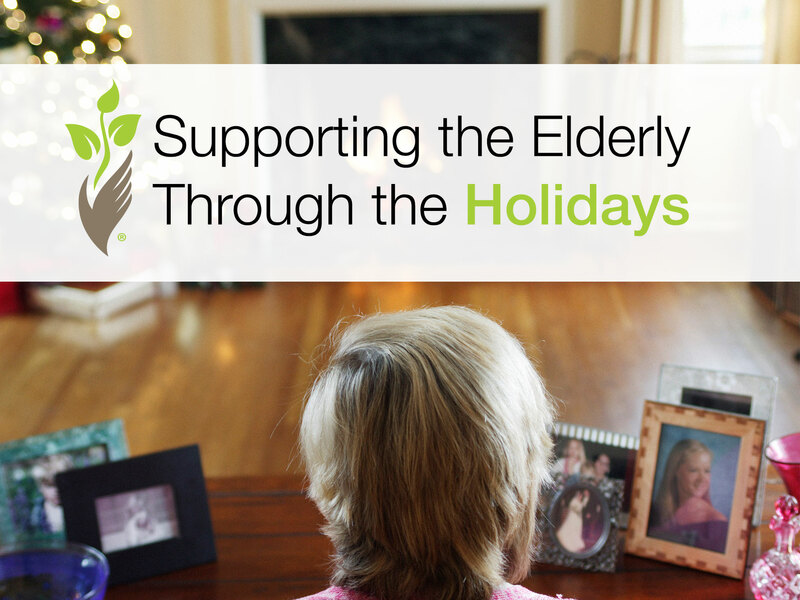 The holidays can be a lonely and difficult time for seniors. Instead of merriment and joy, many seniors experience loneliness and sadness during the holiday season. A time of year dedicated to family and traditions can be a reminder of the loss that many of us have experienced: loss of loved ones, loss of health, loss of contact with friends, and loss of tradition. 1. Take time to listen. Perhaps, the most important thing you can do is to listen to your elderly loved one. Encourage them to talk about their holiday experience, share memories of the past and grieve their present loss. 2. Don’t Force Holiday Cheer. For those who are struggling with recent loss, don’t force them to participate in every holiday activity. Beware of social isolation, but participating in every holiday activity can be overwhelming and emotionally exhausting. Instead, find out what activities they want to attend and honor their requests. 3. Remember Traditions. Take time to incorporate the important family traditions that were passed down through generations. 4. Help Decorate. If your elderly loved one wants to have their home decorated for the holiday season, help them decorate. 5. Share Memories. Don’t be afraid to talk about past memories and to share stories. Talk about the loved one who has passed away. Sometimes talking about the past is avoided because we don’t want our loved ones to feel sadness. But, sharing your own thoughts and experiences can remind your senior loved one that they are not alone in their sadness or grief. Ultimately, every person will need to get through the holiday season in his or her own way. Ask your elderly loved one what they need to celebrate the holiday or just to get through the holiday. Some people may want to remember all the Christmas traditions while others will want to start new traditions. Don’t assume you know what is best. If you are concerned about the mental and emotional health of your elderly loved one, talk to his or her primary care physician about the signs of depression. Seeing a mental health counselor can help seniors process the loss they are experiencing. If you need help getting through the holiday season, contact a Preferred Care at Home location to learn more about our care options.